Spanish and English language mixed with rhythm and songs. This are the elements use for this class. 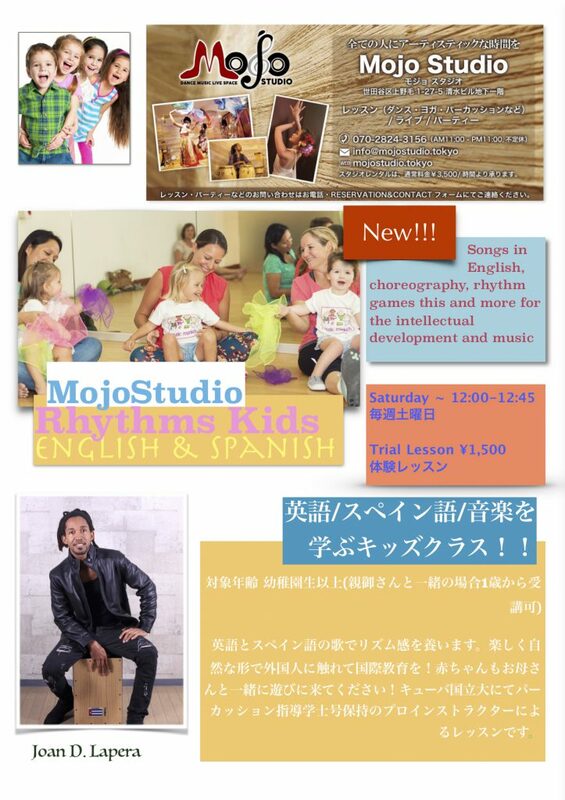 Let your kids learn in a natural and funny way interacting with foreigners. Just come to play together moms and children. Space provides by professional instructors. copyright © MojoStudio All Rights Reserved.